According the National Association of Realtors, nearly a third of real estate home buyers this year will be entering the housing market for the first time. As a first time buyer, you’ll soon find out that there’s so many roads that need to be navigated before moving into that first home. That’s why at Coldwell Banker Real Estate we’re dedicating this entire week to helping the first time home buyer as they venture into the world of home ownership. 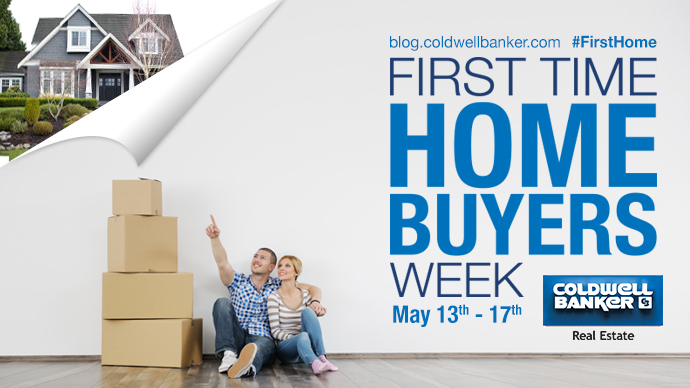 Throughout the week on this blog as well as on the Coldwell Banker Facebook and Twitter profiles, we’ll only be sharing content that’s geared toward first time home buyers. While we’re producing all new content this week, the first time home buyer has been the focus of a number of posts we’ve already written. One of our most popular, and useful ones, is on 5 Tips for Saving for a Down Payment to help first time home buyers prepare financially for the big move. Also, there’s a tendency as a first time home buyer to jump on that first property that catches your eye, but there’s really value in shopping around. Here’s our post titled, Why First Time Home Buyers Should Shop Around. The most provocative question posed in real estate this year came from one of our writers who was debating whether to enter the real estate market in 2013. The question she asked was: Is the F Word Stopping You from Becoming a First Time Home Buyer? And finally, I wanted to share a lesson that I learned upon buying my first home and how I came to believe in working with a real estate professional. We hope first time home buyers will find all the content being shared this week useful to their initial home shopping experience. But for those who’ve been through the process before, we want to hear from you and have you share what you wish you knew when you were a first time home buyer. Join the conversation throughout First Time Home Buyer Week by following the hashtag #FirstHome and of course we welcome your opinions, insights and questions in the comments. Here’s to making 2013 the year you experience the joy of home ownership for the first time. Real Estate 101: What Does It Mean to Be Pre-Approved for a Mortgage?